The one fruit I sorely miss. Sitaaphal from the fruit-wallah on Colaba Causeway, Mumbai. Sitaaphal is also called a custard apple. Lead us not into temptation! two beautiful sitaaphal as my airplane snack. hope you had a good visit. I just flew to San Francisco from Bombay, arriving yesterday, and took two beautiful sitaaphal as my airplane snack. They are the excellent consolation prize in India when mango season comes to its sad end. Thanks . A beautiful blog you have! Love the recipes. Wow, those are exotic mangostines. Prolly worth a trip to Malaysia, just for those. Thanks for sharing. Ha hA! Fruit and vegetable market! WoW Those are fun. may not compare to the one in Aus, but I had a blast. The sitaaphal are certainly called custard apples in mumbai too! Aren’t they the bestest! Yumm! I miss them here. Nearly finished importing all my entries from LJ, and a few are yet to be categorized – but peruse the FOOD tag! Hi – I love your blog! I used to work in fruit and veg market in Australia when I was younger (ha ha a long time ago now!) 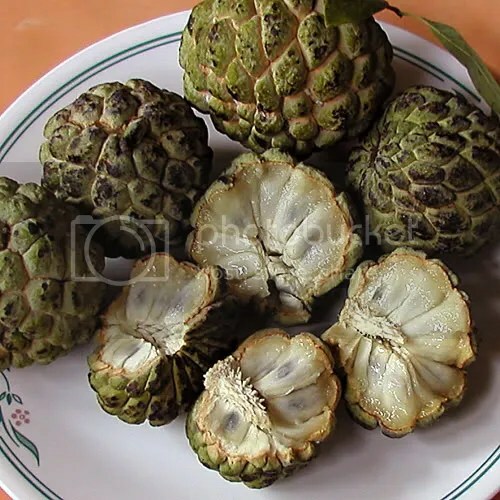 and I’m sure we had these in the market occassionally – they were called Custard Apples. Very yummy!